Join me this Thursday night (March 26th) from 6-9 PM at the 1420 Room for The Merry Mixer! 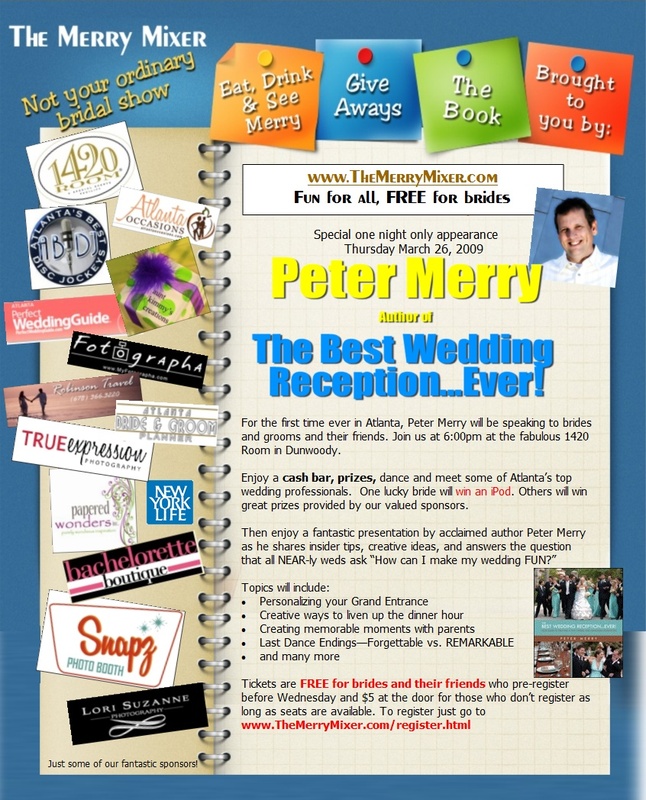 This fun event will give brides a chance to meet select Atlanta wedding professionals, win fabulous prizes and enjoy a presentation on making your wedding fun by Peter Merry, author of The Best Wedding Reception...Ever! This event is free for brides and their friends who pre-register by Wednesday or $5 at the door. Head over to the Merry Mixer website for more details. I am really excited that True Expression Photography will be one of the sponsors for this awesome event. I look forward to meeting some of my blog readers there, so say hi when you see me!